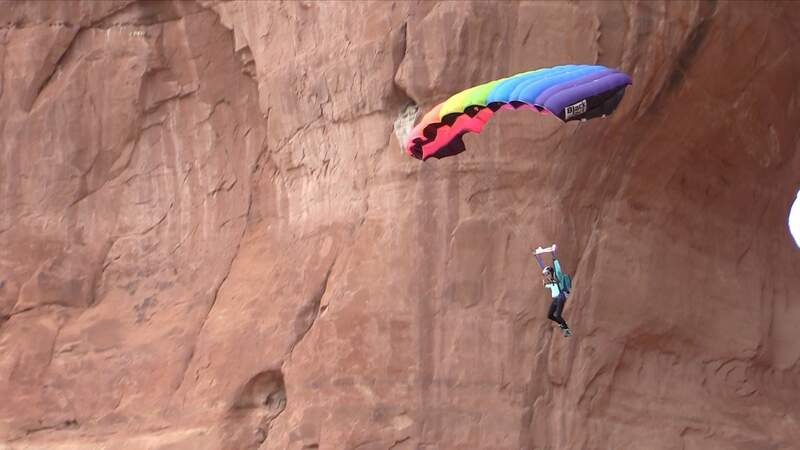 Moab, Utah’s, twisted desert classic is about as cool as it gets. The Stolen Chimney (5.10+ or 5.8 A0) on Ancient Art in the Fisher Towers is perhaps one of the most coveted summits in the desert Southwest. Once you’re there, you’ll know why. 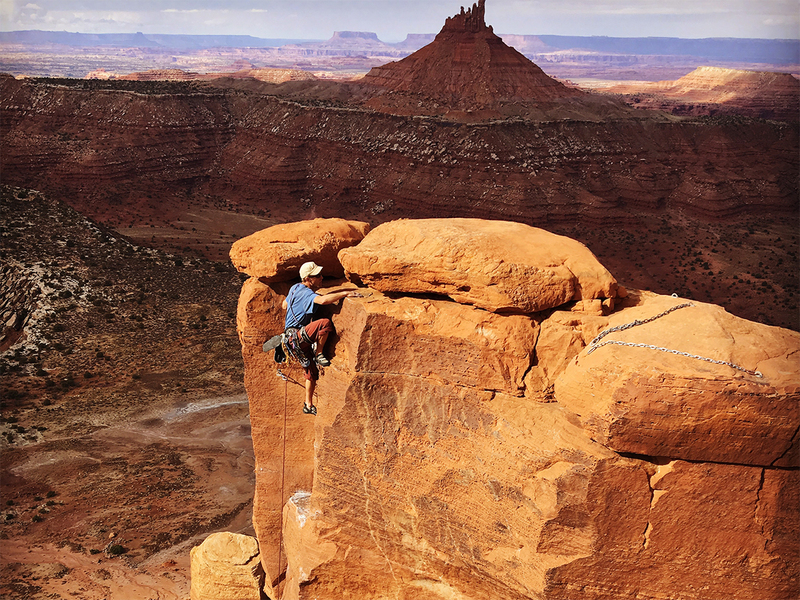 The crumbling Cutler sandstone, often called mud stone, that composes the Fisher Towers is alarming to most climbers because it appears to be falling apart. Keep in mind a neighboring famous and much shorter pinnacle called the Cobra toppled over during a period of stormy weather in late summer 2014. Sandstone is, after all, made of sand. But the Ancient Art still stands – for now. A twisted mishap of geology, the peak of this bizarre tower is actually accessed by an engaging and easy-to-read route, although by no means should it be considered an entry-level climb. 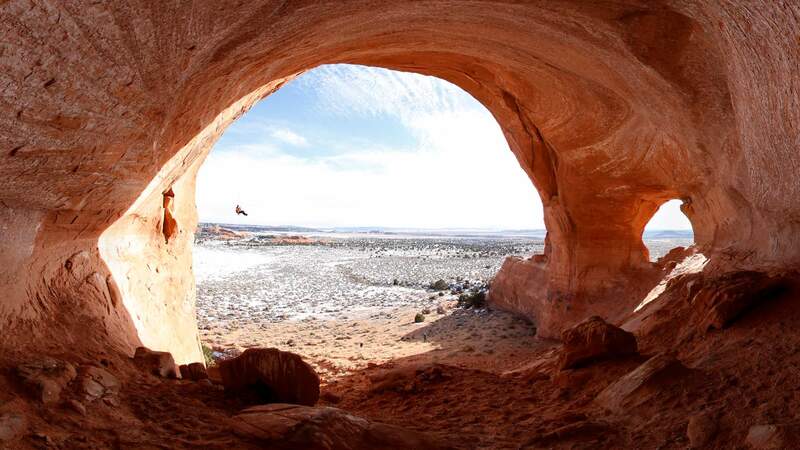 All four pitches offer something wild and are a mix of traditional and sport climbing. The 5.10+ well-protected sport faces on pitch one and three pose the crux of the route, or can be easily aided by pulling on gear. The 100-foot traditional chimney would not be a place to fall. But really, it’s the final pitch that brings home the bacon. 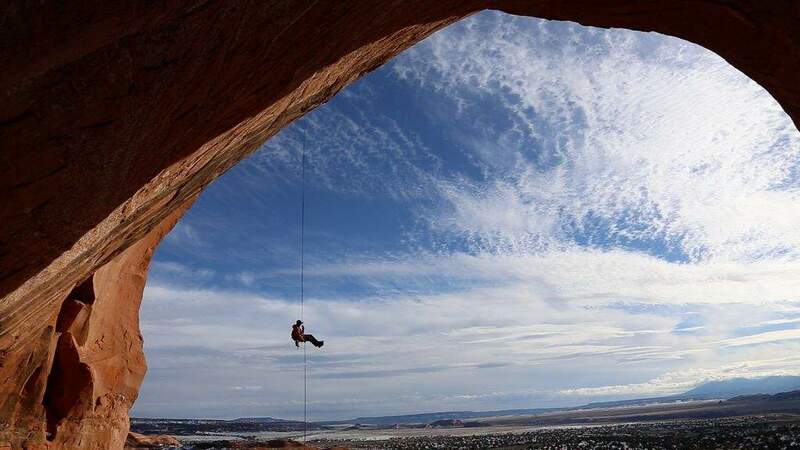 “The crux for a lot of folks is the exposure, not necessarily the climbing,” Sydnor said. Crossing a narrow and rounded spine called the “sidewalk” that is hundreds of feet off the ground and wildly exposed on both sides, you’re protected only by your anchor until you gain the giant tongue-like “diving board.” Enjoy this next move. Finally, you can clip a nice new glue in bolt. The route continues. It’s a little awkward, but it’s all there – corkscrewing around bolts with a few invigorating moves and ending with a 5.9 mantle just below the summit block. Don’t even think about standing up in high winds. The block is a wee bit loose. It’s all part of the fun. 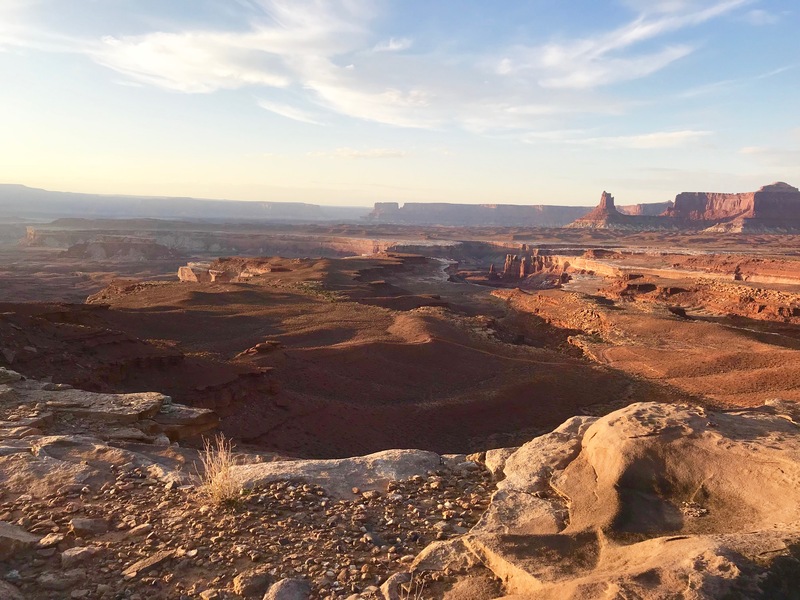 “It’s one of the best views in Moab,” Sydnor said. The climb is rated Class II, but most parties do this in four to six hours or less. You can rappel the route with two raps from the top of pitch three.